This house is part of a large country house in a very quiet place, surrounded by the beautiful mountains of the provinices of Málaga and Granada. 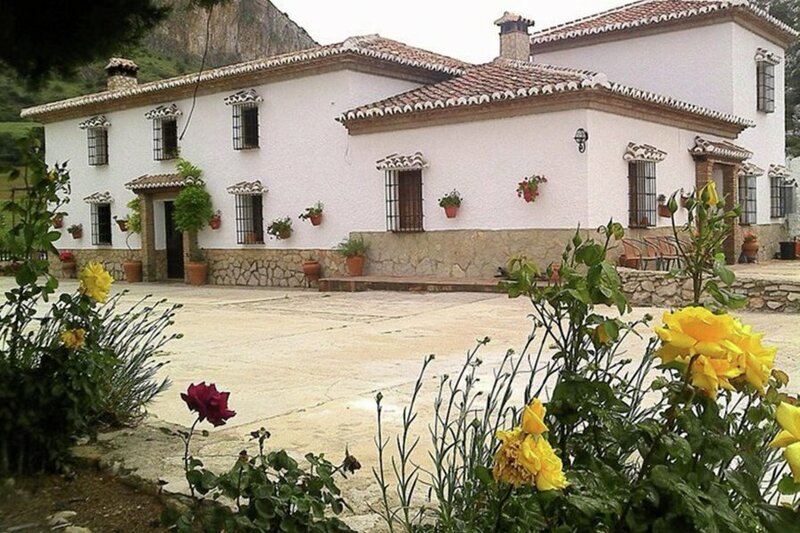 It is a rustic Spanish house with wooden beams and breathes the atmosphere of nostalgia. The living room is cozy and equipped with a fireplace, TV and wooden furniture. The small kitchen is practical and has a ceramic hob. Next to the house is a sunny garden with private pool. The house is very centrally located for all kinds of outdoor activities, including hiking, horseback riding, mountain biking. The nearest village, Alfarnate, has all sorts of facilities such as banks, pharmacy, shops, bakeries, etc. The village is picturesque and lively at weekends. Even a trip to Malaga, Granada, Córdoba, from here is easily made. The beaches of the Costa del Sol are less than 50 km. An ideal house for a family. 1x 6 x 3 m.